As we depart today for our family's mini-reunion in the Smoky Mountains, I wanted to share an important event that Grayson and I attended earlier this week here in Portsmouth - as I mentioned during my recent vlog that day started out crazed but thankfully it turned around. 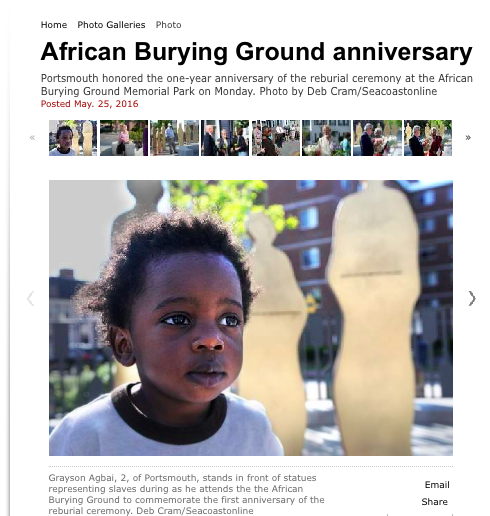 A few weeks ago when I learned of the 1st anniversary celebration of the African Burying Ground that was taking place I knew it was something I'd want to attend with Grayson after dropping Nia off at school. We almost didn't make it, but in the end we arrived just in time, and it was well worth it. 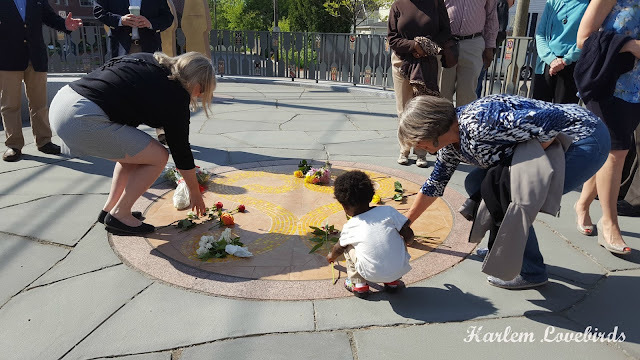 We had the honor of attending the reburial last year with my brother-in-law and sister-in-law when they were in town for Memorial Day weekend and have since returned when we had friends in town. 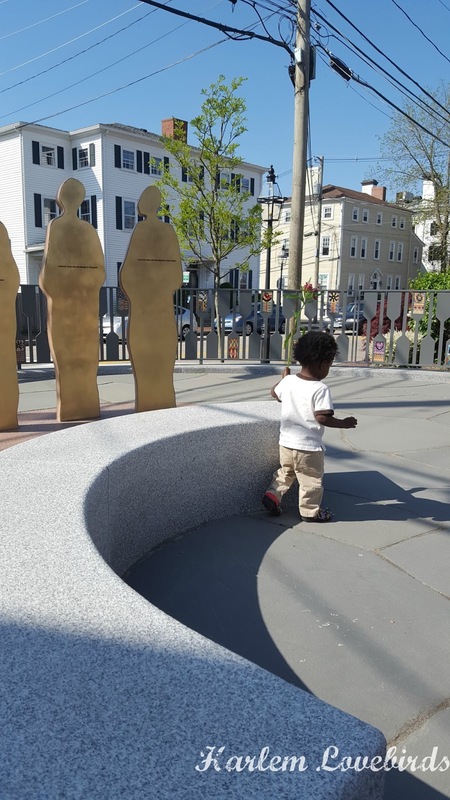 These are memories and milestones that I'm proud to experience with my children, and I was thrilled to see several local residents and familiar faces attending the anniversary event. Grayson also had his media debut - thank you to everyone who snagged extra copies of the paper so I could send to family! You can find a full gallery here as well as an article including my thoughts on the memorial.